Our Chapter Meeting Luncheons and Workshops are held on various days of each month. Webinars are held throughout the year. Please check the Education Calendar for the listing of webinars sponsored by our Chapter during 2018. 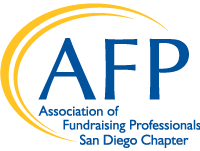 Attendance is free for AFP members. Each webinar offers CFRE credits.